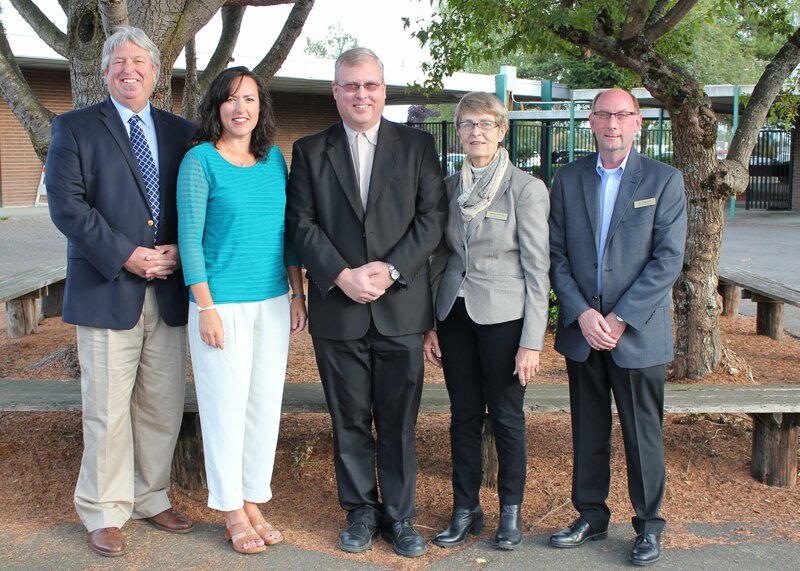 Battle Ground Public Schools' Board of Directors has been selected to receive a Board of Distinction Award from the Washington State School Directors' Association (WSSDA). The award recognizes school boards that use research-based governance practices that lead to high levels of student and district achievement. "As a board, we have started on a journey, and it feels like we are only a few steps from the beginning," said Battle Ground Board President Monty Anderson. "Without the help of all the volunteers, staff and administrators, the work we have accomplished would not be possible. These dedicated and caring people are the reason we are recipients of the Board of Distinction Award." In its nomination for the award, the Battle Ground school board provided details about how it has worked to gather public input for critical decisions, set high expectations for student learning, and created conditions for student and staff success. Among its examples, the board described how it tours every school each year and has representation at most school events. The board also described the district's Strategic and Long-Range Facilities plans that were created with community volunteers for quality learning and facilities planning. In the area of public input, the board described how it has sponsored many public meetings and information nights about a variety of topics and how it has sought feedback via an interactive survey tool called ThoughtExchange. "This group of citizens has worked each and every day to ensure they represent the interests of our community and provide for the best instructional opportunities for our children, continued growth opportunities for all staff, and ensure we maintain our facilities and prepare for future growth," said district superintendent Mark Hottowe. "Our School Board strives to conduct open and transparent meetings that are well advertised and where community members are highly encouraged to provide input to the Board as they consider important issues on which they must vote. It is my hope our community will join with me saying 'Great job Battle Ground Board of Directors. Thank you for all your work to make our school district a great place to learn and to work.'" The board will receive the award at a ceremony that will be held on Thursday, Nov. 17 during WSSDA's annual conference. At the ceremony, WSSDA also will announce a Board of the Year winner in each of three district-size categories. Twenty-four school boards in Washington were named as Boards of Distinction by WSSDA. It's the largest number to be recognized in a single year in the eight-year history of the program. "Each of these boards demonstrates the excellent work done by Washington's 295 school boards and 1,477 school board members," said WSSDA President Chris Nation. "This program gives us a chance to acknowledge that commitment to their students and communities." Being accountable and open to public, and seeking divergent perspectives in its decision making. Adopting a collaboratively developed district plan focused on learning and achievement. Employing and supporting quality teachers, administrators and other staff, and providing for professional development. Applicants also discussed specific decisions their boards had made and evidence on how they were working to help close the opportunity gap. The applications were evaluated by an independent review panel.